The Productive Boardroom is a practical and comprehensive guide to everything an organization needs to know to manage an effective board and meet the obligations of governance. 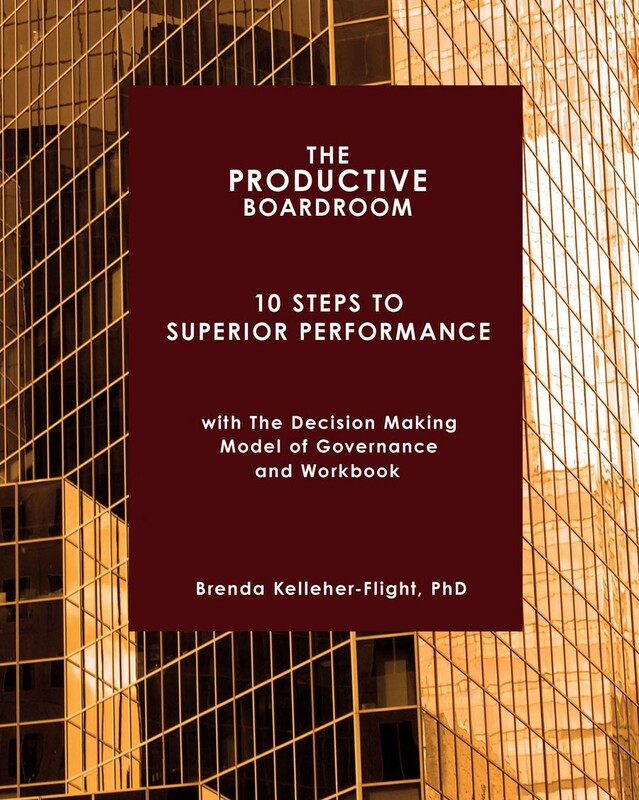 This easy to follow 10 step workbook is based on The Decision Making Model of Governance, developed by Brenda Kelleher-Flight. It explores key topics and takes you step by step through the elements to help clarify direction and guide your organization to good governance and a productive boardroom. “As an active board member, a former chair, and a successful business owner, I know the value of productivity. Brenda Kelleher-Flight captures the essence of what being a good board member is all about. I’ve already loaned her book to several colleagues who are on boards that are not operating at maximum performance.” Donna Messer, Board Member United Way Oakville, Women in Food Industry Management and Georgian College Hospitality, Tourism and Recreation. 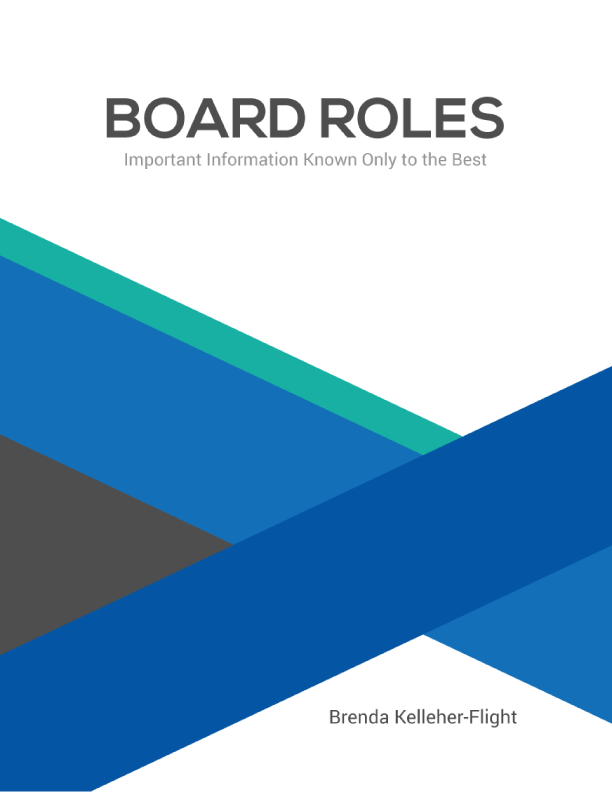 This book aims to help identify and resolve common boardroom issues and is ideal to dip into, with tips for aspiring and experienced board members. 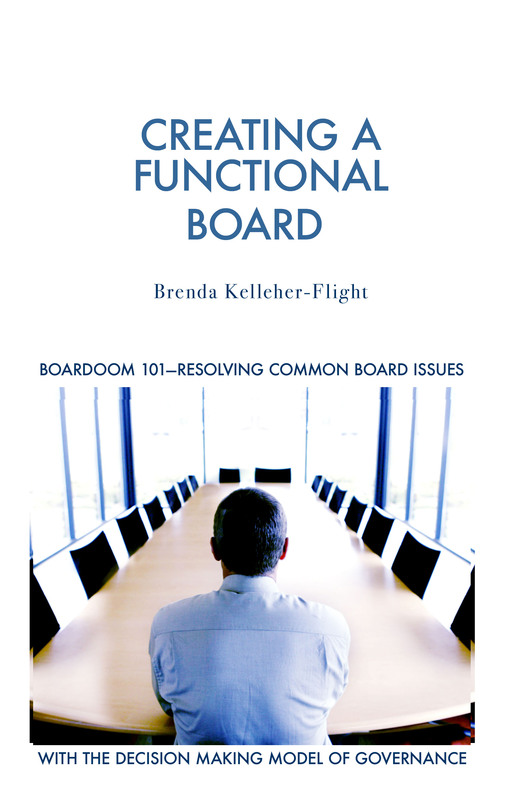 In 13 chapters, Creating A Functional Board introduces the theory and provides solutions to demystify and make governance manageable.Download Immediately. It is important to remember that conflict is normal in relationships, and healthy conflict resolution goes hand in hand with building fulfilling and sustainable long-term relationships. If you feel you are unable to learn the skills yourself, do not worry. A conflict resolution coach can teach you the tools to manage conflict in a healthy way and improve the relationships in your life. 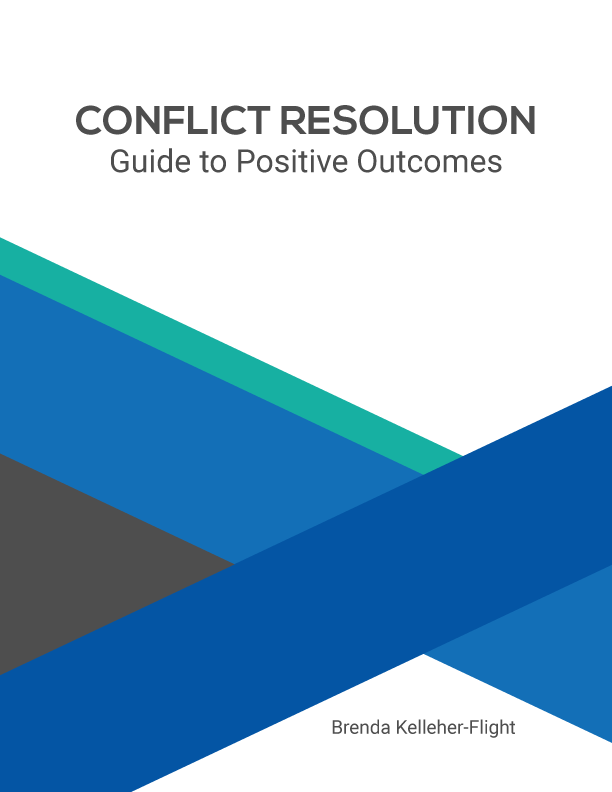 Gaining these tools is invaluable, and if what you are looking for are skills that will help you build and sustain the relationships in your life in a more collaborative and healthy way, then yes, conflict resolution is worth the cost. You can read this book from cover to cover, or you can access the parts that will be helpful to you now. Do what serves you best. Remember you are remarkable. It is easy to say that there is no need to choose a model of governance because “we know what we are doing.” Sometimes what the board is doing is based on past practice and no one has ever taken the time to question the validity of those practices and whether they are actually governance. Sometimes what board members call governance is actually management and it is only when board step back and question what they are doing and why that they actually realize the gaps in their knowledge.